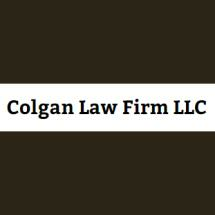 Located in Kansas City, Kansas, Colgan Law Firm LLC provides customized legal solutions in family law, personal injury law, criminal defense, estate planning and probate. Clients throughout Wyandotte, Leavenworth and Johnson counties turn to our law firm for honest legal advice and committed, high-quality representation. As experienced trial lawyers, we prepare each case as if it will go to trial. In the areas of family law, probate and personal injury, our meticulous case preparation frequently results in cost-saving, out-of-court solutions for our clients. In our criminal defense practice, we make cases trial-ready because that is the surest and most aggressive way to safeguard our clients' rights and interests, and our criminal defense representation has led to a multitude of not-guilty verdicts. As soon as you contact Colgan Law Firm LLC for a free consultation, we listen closely to your concerns and begin developing a customized legal strategy for achieving your goals. We can identify your options and help you make a choice that puts you in the best possible position for a positive outcome. Our office location is equidistant from the district courthouses in Wyandotte, Leavenworth and Johnson counties, and we provide client-focused representation throughout the area. We are a family-run, full-service law firm headed by attorneys James P. Colgan and Ann K. Ewalt Colgan. Whether your concern is a divorce, adoption, guardianship or other family law dispute, difficulty obtaining compensation after a personal injury, a dilemma related to probate or estate planning, or the possible consequences of a criminal charge, you can rely on our decades of experience and legal acumen to help you resolve the matter.